Probably not, depending on what meds you're taking. Is there something dangerous on your breakfast table? If you're taking prescription medication, there might well be. ​(a cross between grapefruit and tangerines), even marmalade made from Seville oranges. Ingesting any of those with many kinds of medication could put you at serious risk. Sound like an exaggeration? Doctors say that grapefruit can interfere with at least 85 medicines, and could result in deadly interaction with 43 of those meds. A chemical in grapefruit slows down the metabolization process and the concentration of the drug in the bloodstream can increase to toxic levels, she says. That toxicity can result in severe kidney or liver injury and have other serious effects, some of which can be deadly, explains Lisa Cimperman, a registered dietitian who works in the intensive care unit at University Hospitals Case Medical Center. "Most drugs are metabolized in the kidneys or liver, so those organs bear the brunt of the overdose," Cimperman says. And, she adds, medical experts are identifying more and more drugs that can interact negatively with grapefruit, either making the drug toxic, or sometimes, ineffective. "It can be particular to a certain medicine, not just a class of medicine," she says. 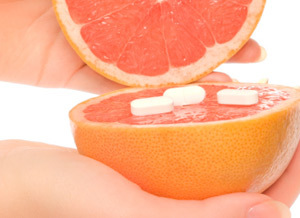 Consuming grapefruit any time of day can lead to a serious effect on your prescription drugs. 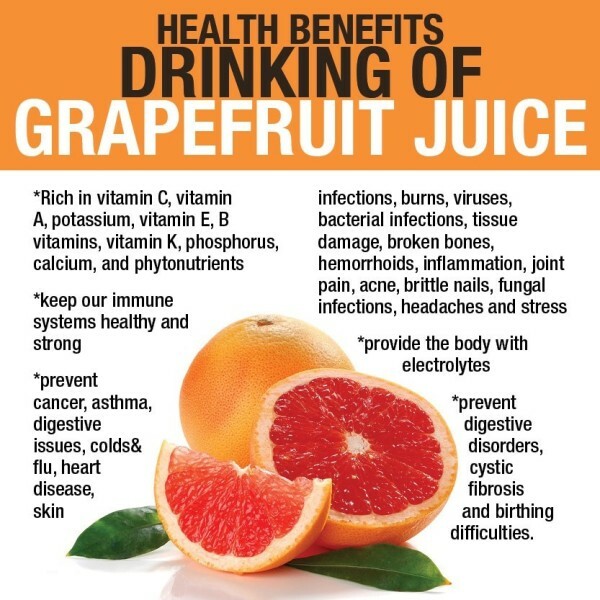 Grapefruit juice is even worse than the fruit, because it's concentrated. "It doesn't even take a large amount," says Dr. Valerie Powers, a family medicine doctor at Southwest General Hospital in Middleburg Heights. "Two little segments of grapefruit or the equivalent amount of juice can be enough to interact with some of the medicines." Grapefruit isn't alone in interfering with prescriptions. "It doesn't even take a large amount - two little segments of grapefruit can be enough to interact with some medicines." Dr. Valerie PowersThat's why it's important to read the labels on your medicine bottle, read the literature that comes with it or, better yet, talk to the pharmacist when you have a prescription filled. Powers says you can search online for foods that interact with the drug you're taking, and check reputable sites. Among those she recommends are WebMD and the Institute for Safe Medication Practices. Bo Michael Carnicom, a clinical pharmacist at UH Case Medical, says the warnings about foods' interactions with medicine are not overblown. "Food can make all the difference as to whether you reach therapeutic levels with your prescription, so that it has the proper effect," he says. "Or it can lead to side effects, and even toxicity. Most people don't take it that seriously, and they should." 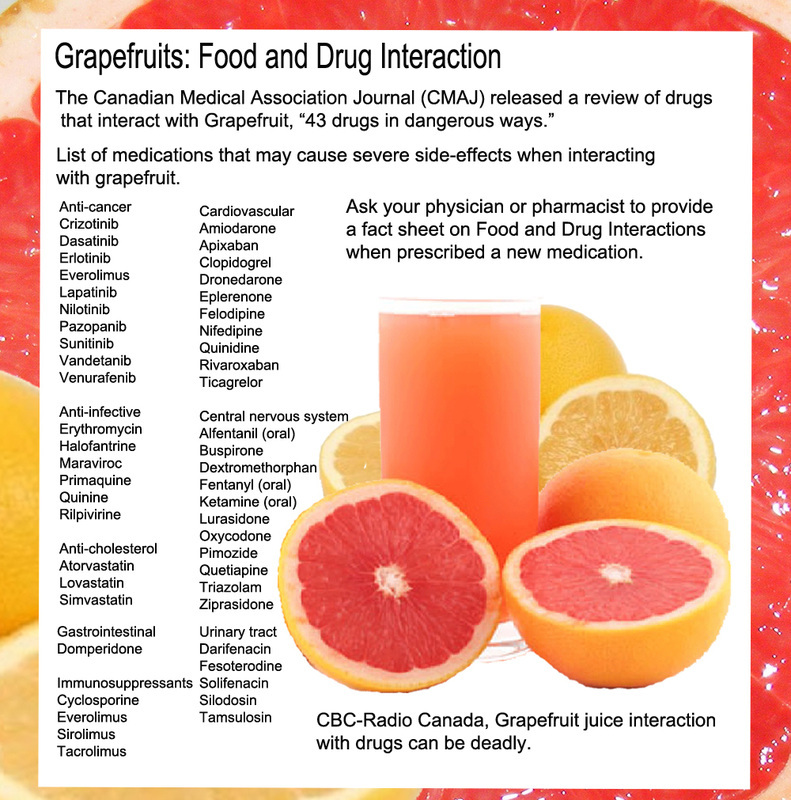 Grapefruit / grapefruit juice may interfere with many of the most common medicines Americans take. These include cholesterol-lowering statins; blood pressure drugs; drugs designed to prevent organ transplant rejection, such as cyclosporine; and even antihistamines, such as Allegra; and blood thinners, such as Plavix (clopidogrel.) Bo Michael Carnicom, a clinical pharmacist at University Hospitals Case Medical Center, notes that even some soft drinks, such as Fresca, and other fruit juices might contain grapefruit juice, so always check the labels. Chocolate, which usually contains varying amounts of caffeine, and of course, coffee, since it has even more caffeine, can be an issue with drugs that also have a stimulant effect. Since caffeine can raise blood pressure and increase heart rate, it can therefore increase the effects of stimulant drugs, such as Ritalin. It can block the effects of sleep medicine, such as Ambien (zolpidem). Consuming food or drink that contains caffeine if you have asthma and use a bronchodilator such as albuterol, or take inhaled steroids (such as Advair) can make you feel jittery, and make your heart race. MAO inhibitors (used for various psychiatric conditions) also conflict with excessive amounts of chocolate, and may cause a significant increase in blood pressure. Bananas, potatoes with skin and many other fruits and vegetables that are rich in potassium can cause problems with some drugs. It's also important to check the labels on salt substitutes, which are generally just potassium. That can be bad when you are taking ACE inhibitors, such as Vasotec, which are used to lower blood pressure or treat heart failure. Getting too much of this mineral can cause an irregular heartbeat and palpitations. If you take Spironolactone, a diurectic that causes potassium retention, it is crucial not to be eating potassium-rich foods as well. Since it's still important for overall health to eat fruits and vegetables, talk to your doctor, pharmacist or a dietitian to find out if you need to be careful with certain types. Moderation is always the best practice, says Carnicom. Chard, kale and other leafy greens are high in vitamin K, which can interfere considerably with blood thinners such as Coumadin (warfarin). You don't have to restrict sources of vitamin K, but keep your intake consistent. Don't go a week without broccoli and then eat a big bowl of it. Sudden increases in your vitamin K intake may decrease the effect of the blood thinner. Black licorice contains a sweetening compound called glycrrhizin, which can reduce the effect of blood pressure drugs or diuretics, such as Hydrodiuril and Aldactone. More significantly, it can also increase the toxicity of digoxin, which is taken for congestive heart failure and abnormal heart rhythms. Alcohol exponentially increases the effects of sedative drugs, such as Xanax or Ambien, even if taken within two or three hours of the pills. Antidepressants can make alcohol more potent. Alcohol also can render antibiotics far less effective. Milk and dairy products can work both with and against drugs. Sometimes you'll notice a prescription bottle will say to take a drug with milk or food; those tend to be drugs that are irritating to the stomach, such as prednisone and ibuprofen. However, the calcium in the milk or in calcium supplements should not be mixed with certain antibiotics, such as cipro, although dairy two or three hours before or after you take the antibiotic is fine. Finally, here's one positive interaction: If you take iron pills, take them with orange juice, says Carnicom. "Vitamin C helps with the absorption of iron."